We are going to show you an automated way to install Android Market -or Google Play, as it has been recently rebranded by Google- inside your Android. This post might prove useful if you had just installed Android on your computer by means of an Android Emulator, Bluestacks Software or directly installing an x86 compiled version of Android OS. Whatever solution you found to get Android on PC, if Android Market was not included, then you need to install it in order to open your newly Android reborn PC into the world. In such case, this might be your lucky day: We just found a tool that you might want to try: An automated Android Market Installer. First, your Android on PC must be a Gingerbread (2.3) or newer version. We tried this Android Market Application inside an LG Optimus 3D phone running Android 2.2, and also inside a virtual machine running android 2.2 on our PC, with no luck. On the other hand, we got a successful Android Market installation inside a Nook Color running Android 2.3 and several virtual machines running Android 4 (Ice Cream Sandwich) and 3.x (Honeycomb), as also inside bluestacks software. Hence we can confirm that the Android Market Installer will most probably run ok if you comply with this first requirement. Second, you need to have ROOT access to your Android OS. If you are using Bluestacks, no worries: You already have Root access as default, as also happens if you are using the included Android Emulator on official Android SDK. Third, your Android on PC needs to have internet access, as one task of this automated Android Market installer includes downloading the necessary files from their repository. 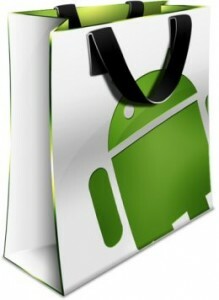 You may download the Android Market installer directly from this link inside your Android on PC. Once downloaded, install it. Once installed, run it! If both prerequisites where satisfied, then after a couple of minutes you will end up with Android Market -or Google Play, it’s the same thing- installed inside your Android on PC. “Can’t establish a reliable data connection to the server. I have tried it on Android 2.3.3 and 4.0.3 but problem is same in both versions. I’ve just restarted the Emulator after installing this app.